PANO AQIL: Pakistan People’s Party (PPP) leader Syed Khursheed Shah on Friday said that former President General (r) Pervez Musharraf would not be coming back to Pakistan. Earlier on Thursday, the Supreme Court (SC) had issued orders to the former president, directing him to appear in court on June 13 while guaranteeing his non-arrest. While speaking to the media, the PPP leader stated that no person could impose Martial Law in Pakistan and that the Chief Justice of Pakistan (CJP) Nisar Saqib had reiterated this point many times at various occasions. 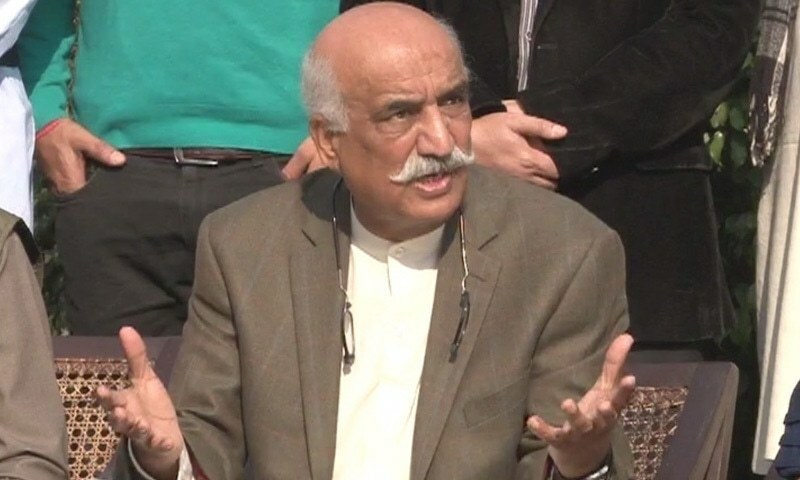 Shah presented his stance on the Kalabagh Dam issue saying that the SC which has been hearing the case for two years now, should allow the Council of Common Interest (CCI) to handle the issue as three provincial legislatures – Sindh, Balochistan and Khyber Pakhtunkhwa (KP) assemblies had passed resolutions that were not in favour of the proposed project. The growing electric crisis in the country has pushed people to raise voices for the need of the Kalabagh Dam, which would have a 3,600-megawatt power generation capacity. Earlier in April, the apex court had sought details of initiatives takes for the construction of water reservoirs during the hearing of a petition informing that existing water reservoirs will be completely dry in the next seven years. “Unfortunately, Pakistan has suffered due to provincial strife and local politics and we have not built Kalabagh Dam. Kalabagh would be quicker to build and has already been approved by international [lenders]…Pakistan must build at least 20 dams to address water shortages for agriculture and drinking,” the petition read.